Secret Santa is an unexpected gem. 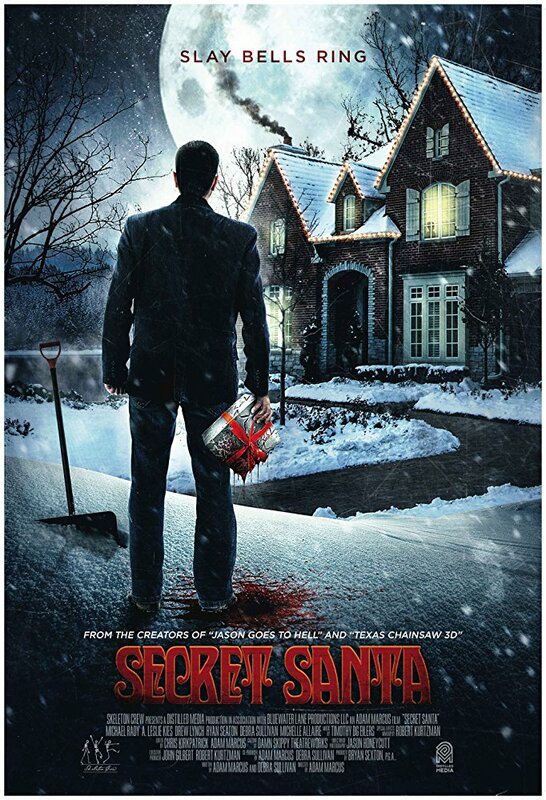 After what seems to have been an overabundance of holiday themed horror films we have one that you’d actually want to show to your family- assuming they love humor tinged horror. The plot of the film has a large extended family getting together for Christmas dinner. No one wants to be there but mom, a stern task master, insists. Tensions are high as everyone arrives and it isn’t long before everyone is snipping at everyone…and then literally at each other’s throats as their inner demons and hostilities are released. Feeling as if it was drawn from real life, minus the body count, Secret Santa mines the endless family hatreds and uncomfortable interactions for a film that is frequently funny in its depiction of how we see our loved ones. This plays as a kind of Orange Osage County for the horror crowd with everyone going after each other via some wickedly quotable one liners. While there may be more humor than scares the film never loses its tension because the relationships are rooted in the reality of our lives. And as for the horror beyond that of just spending the holidays with the family, this is a film that is a bloody mess (that’s a good thing). The explosions of violence and sprays of the red stuff are expertly handled and keep up on edge. There is a weight to the proceedings that nicely amp up the verbal sparring and keep us on edge. If the film has any real flaw is that the film is very aware of how well it has been put together and there are times when it feels like it is showing off. As good as the film is I never fully gave myself over to the film fully. I was always aware of how director Adam Marcus was manipulating things. There was too many perfect shots, sequences or lines. If a film could gloat at its near perfection this would be it. This is a film that knows what it is and lets you know. It’s a minor flaw but it kept me falling in love with the film.